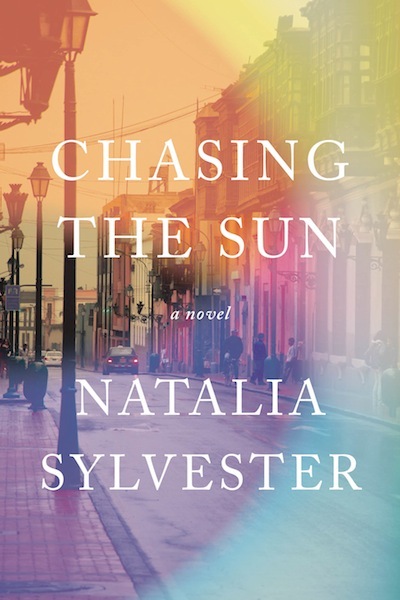 Natalia Sylvester’s debut novel, Chasing the Sun, was published on June 3. Set in Lima, Peru in the early 1990’s, it depicts the effects on a marriage of the wife’s kidnapping by a rebel/insurgent group that used kidnappings to raise money for its activities. Sylvester was born in Peru, raised in Miami (she earned her MFA at the University of Miami), and now lives in Austin. 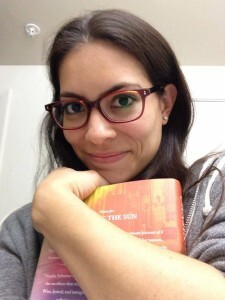 You can read my review of Chasing the Sun here. I love that your profile says, “Peruvian. American.” with a period instead of a hyphen. How important has your Peruvian heritage been to you personally and as a writer? My heritage has been completely important to me as a person and a writer, and at the same time, completely not. And by that I mean, I was not as aware of it my whole life as I have been now, looking back on it and seeing how it’s perceived. Self-identity when you’re bicultural is a funny thing: we don’t see ourselves as “other voices,” yet we’re often seen as the “diverse” aspect of the greater landscape. But we’re just as much a part of the fabric of the human narrative as any other writer is. I guess that’s why I don’t hyphenate in my profile. I don’t feel like I’m half one culture, half another, because that would imply that there’s a standard to measure my identity against. Did you always have in mind writing about Peru or your heritage/ethnicity, or did you just happen to stumble into a great story that was set in Peru? I think the setting had less to do with my heritage than it did with what felt true to the story. Originally, I tried setting it in an unnamed Latin American country, a la Bel Canto by Ann Patchett or At Night We Walk in Circles by Daniel Alarcon (both beautiful, powerful novels that pull off unnamed settings flawlessly). But every book is different, and in Chasing the Sun, so much of what’s happening externally—a citywide curfew, terrorist group uprisings and attacks, hyperinflation, political turmoil that results in the president suspending congress—affects the characters externally. The city of Lima and the fear that permeates it during this time almost became like characters to me, and I couldn’t imagine telling the story without them. What was the greatest challenge in writing Chasing the Sun? What would you say is the most difficult thing about writing one’s debut novel? One of the initial challenges was writing it in present tense. Everything I’d written prior (including the first drafts of Chasing the Sun) was in past tense, but I felt there was a sense of urgency lost when the story was told as if it’d already happened, versus happening right now. I’d say the toughest part about writing your debut novel is you never know if it’ll become your debut novel! I’d written and been on submission to editors for another novel before this one, and when it didn’t sell, I realized I had to keep going and write a new one. And even then, there were no guarantees. Writing to hopefully get published is a huge gamble of our time. It makes absolutely no promises, which is why it’s so important to love the process of writing and discovering a story to begin with. How did you come to be published by New Harvest, Amazon’s joint venture with Houghton Mifflin Harcourt? Were you concerned at all about some stores not stocking New Harvest books because they didn’t want to help Amazon? My agent sent the novel out to several publishers, including Amazon, when we started shopping around Chasing the Sun. My acquiring editor at Amazon was so enthusiastic and just completely understood the story in such a way that I knew I had to work with her. Like any writer would be, I was concerned about some stores not stocking the title, but what quickly I realized is no book, regardless of its imprint, is guaranteed to be on any store’s shelves at any time—the store might be out of stock, or they simply didn’t order it from the publisher’s catalog. The great thing is readers always have options: they can order it online at a store like Amazon, or they can request that the store of their choice order it, which is also true of Chasing the Sun at any B&N or indie bookstore. Knowing that from the beginning made me realize it’s all about the relationships we create—with readers who’ve been excited about the book coming out or are just learning about it, with bookstores that have stocked the book because they’re all about supporting authors. I’m so grateful for all who’ve shared the joy of this journey with me. Although the book is written from a third-person point of view, we experience the story largely through Andres. What is the key for a woman in writing a male character? I’m not sure there’s really a key for me. At least, not one that’s gender-specific. Women writing men, men writing women: should it be any harder than someone in the 21st century writing from the POV of someone in Roman times? All fiction demands that we imagine being someone, somewhere, in some situation, that’s outside of what we’ve experienced. So my approach is the same throughout: I imagine things, I try to place myself in someone else’s shoes, and what I don’t know, I make up in a way that feels true. Now…if only it were as easy as it sounds, right?! I was interested to note that, while Marabela has some justification for her feelings toward Andres, she still comes across as emotionally distant and somewhat difficult. In the pre-kidnapping flashbacks, I thought she was occasionally unfair and unreasonable in her interactions with him. But at other times, I thought he was weak, indecisive, and needy, which could certainly be a problem in a marriage. Were you at all concerned about Marabela not being a particularly likable character? Does she even need to be likable for readers to sympathize with her plight? It’s funny, now that you mention it, the thought of her being or not being likable honestly never entered my mind. She’s been kidnapped, she’s experienced unimaginable fear; to expect her to be pleasant or likable, or somehow warm versus cold, would be an unfair demand for me to make of her or any character in a similar situation. Unfortunately, it seems to be a demand that’s constantly made of women characters in fiction, and it saddens me to think of how that reflects on our expectations of women in real life. Must we always be likable, even when we’re subject to unthinkable crimes, in order for our stories to be valid? What are the five things you need to have in order to write (5 essential tools)? 1. Quiet. 2. My giant blue fuzzy sweater (okay, I can probably write without it, but I strongly prefer to be wearing it when I write). 3. Not necessarily inspiration (because who can wait for that), but I need to have a story I believe in. I feel like I can tell, very early on, if an idea is one that comes from a true place within me. 4. My laptop or my journal. I alternate between the two. 5. Books. I have to be reading other works as I write. They nourish and inspire me. Next Literary Giveaway Blog Hop!